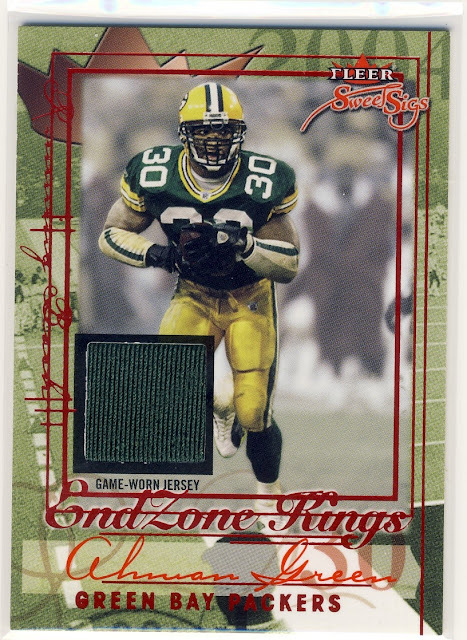 The Packers open the 2013 season today in San Francisco for their their meeting with the 49ers in a year. Hopefully the Pack won't end up going 0-3 over those games. 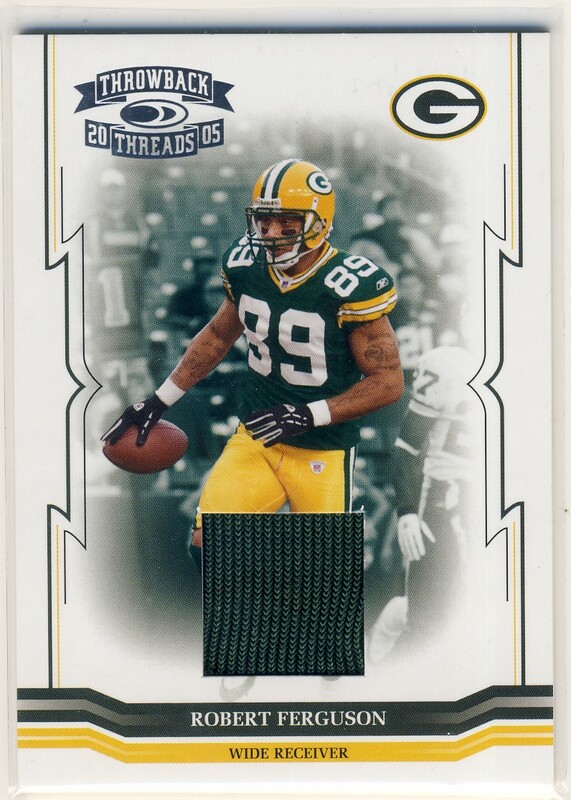 To celebrate the opening of the Packers season here is an explosion of Packer autographs and relics that I've added to my collection fairly recently. If Eddie Lacy doesn't get at least 80 yards in Week 1 the season may dissolve into another "running back by committee" situation as it has been since Ryan Grant's great seasons. 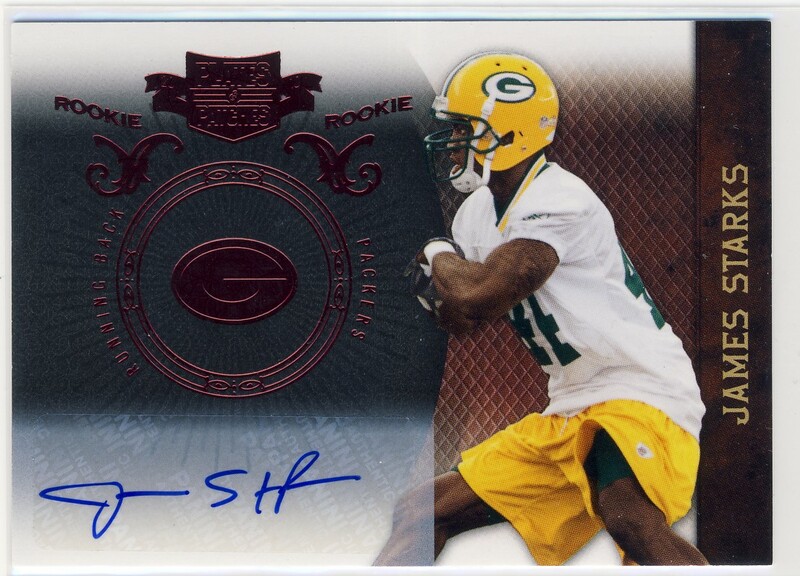 Starks might eventually be the lead man during the season if God forbid Lacy and Jonathan Franklin don't pan out. 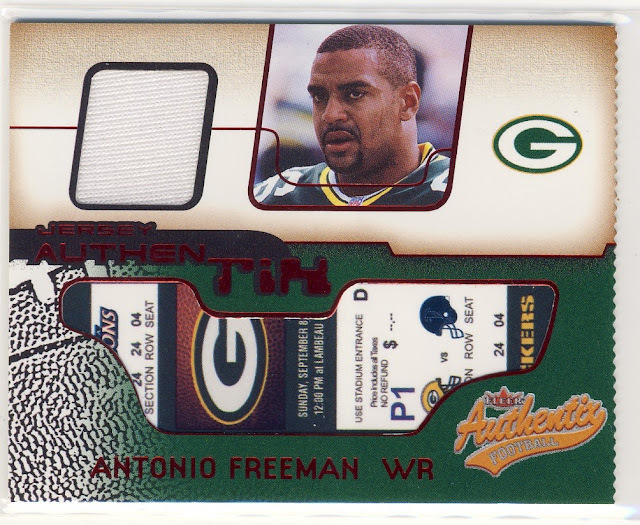 I was going to write about how Antonio Freeman was a lifetime Packer and like Donald Driver will be fondly remembered but after double checking it I had totally forgotten he played a random season with the Philadelphia Eagles in 2002 before returning to the Packers in 2003. I must have mentally blocked this because of the trauma it might have caused at the time. 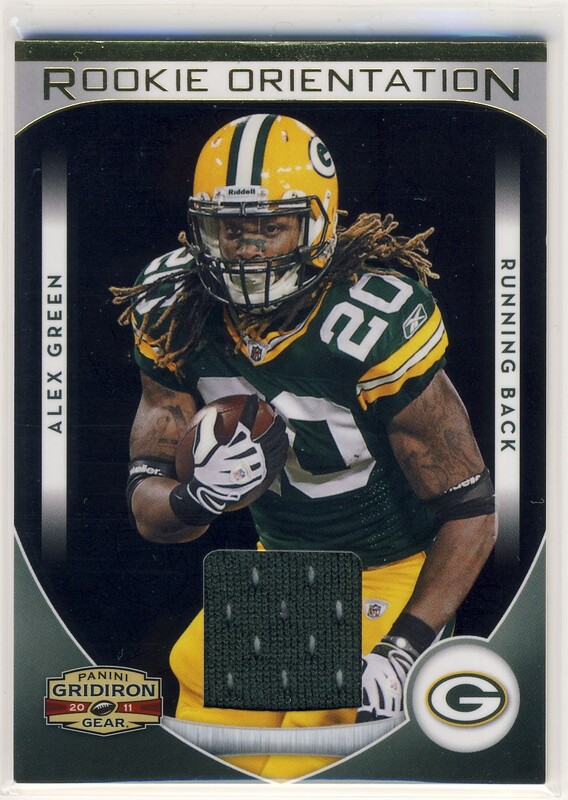 I thought there was a chance that Alex Green would end up being released before the season since the Packers added two promising running backs in the draft but he made the roster and might get some playing time if the running game struggles. 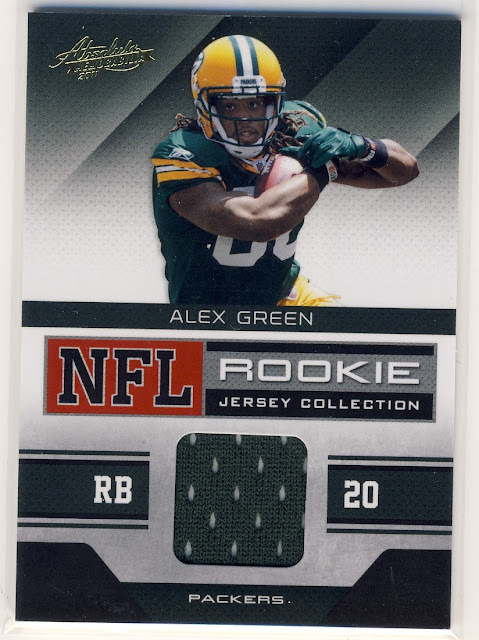 I got this Ahman Green relic from one of those repackages that was specifically full of Packer cards. I'm a sucker for those every time. 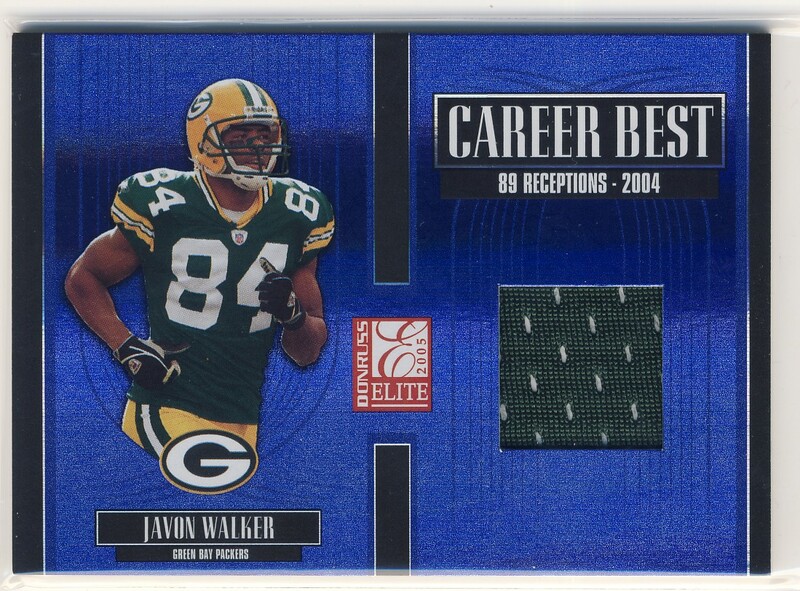 I was surprised to find that Javon Walker was in the league through 2010 and finished up with the Minnesota Vikings. 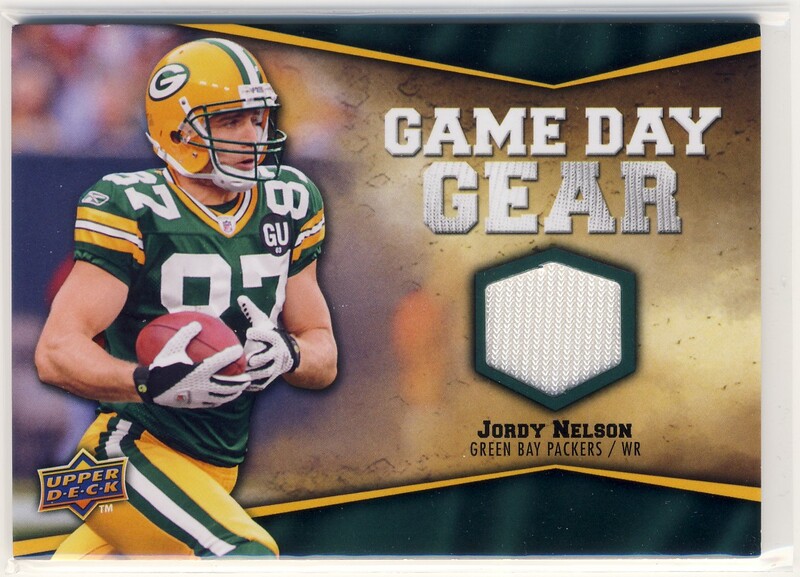 This one came to me in a trade with Reader Mike D. and is my first Jordy Nelson relic. 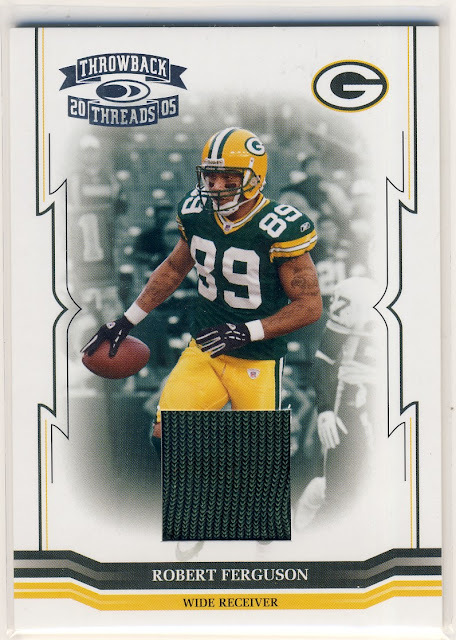 I was surprised to find Robert Ferguson relic cards out there as he was a solid third receiver for the Packers for four season but I imagine his stats didn't exactly inspire a lot of collectors to demand Ferguson relics from the card companies. Ryan Grant didn't catch on with a team for the 2013 season and so it looks like his career has come to an end. 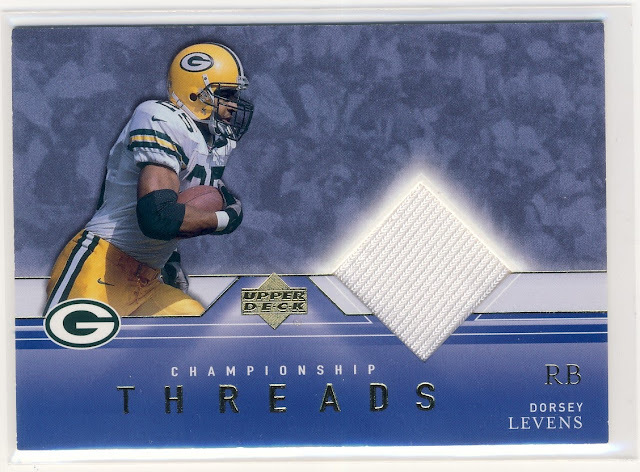 I had no idea that Dorsey Levens was a part of the legendary Madden Curse. 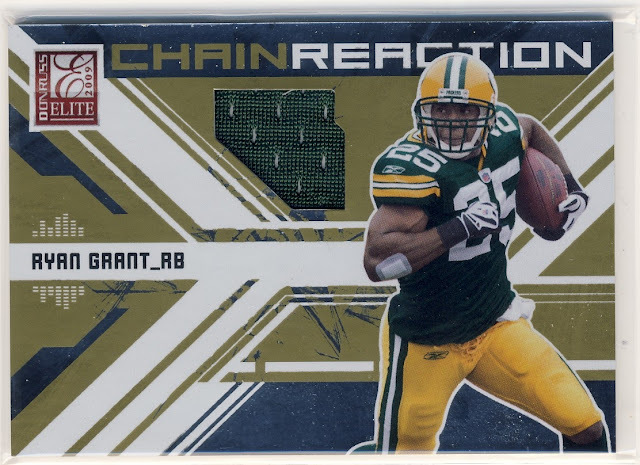 He was on the cover of the European version of Madden 2000 and ended up being released by the Packers in 2001. Ya know, with as big of a Packers fan as I am, you'd think I'd collect them... but I don't. In fact, I only have a few Favres (couple of RCs, some relics, 1 auto). That said, nice cards!